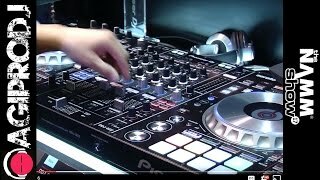 The PIONEER DJ DDJ-SZ2 builds on the strong foundations of its predecessor, Pioneer's flagship DDJ-SZ controller. 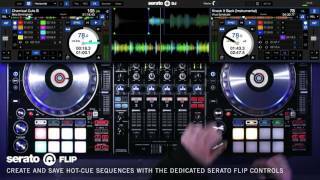 This upgrade allows you to get hands on with the latest additions to Serato DJ, including key shift, key sync, pitch play and Serato Flip. Pioneer has improved the jog wheel latency to make scratching more responsive and precise and the multi-coloured performance pads give you instant feedback on playing status and pad modes. The SOUND COLOR FILTER is loaded in each channel of the mixer, and dynamic arranging and mixing of music will be possible by adding effects to sound regions. Robust Magvel Faders ensure smooth control over long-term use. Two metal shafts support the fader knobs, while the contact-free magnetic system is designed to endure millions of performances.